4. Easy Silk Care – a nano-treated emulsion that helps keep silk fabrics wrinkle-free, soft, smooth and easy to care for without having to dry-clean them. 5. K9 Diagnostic Kit-MDR1 – a diagnostic kit for testing pill allergies in canines.The kit will detect the “allergy gene” in canines in under 90 minutes, which is much faster than sending the tests to labs that normally takes 2 to 3 days at least. The researchers who came up with these five innovations will be given five minutes each to present their work before allowing investors to cast their votes for the project they want to learn more about. The researcher with the most votes will be given an additional 25 minutes,” said Dr. Thaweesak. Activities at the NSTDA Investors’ Day will include; 1. A keynote address entitled “The Future of Thailand’s Science Sector in the Next 10 Years”, delivered by Dr. Veerachai Veerametheekul, Minister of Science and Technology, and a lecture on the subject of “10 Emerging Technologies to Watch” by Dr. Thaweesak Koanantakool, president of NSTDA 2. An exhibition of innovations, business negotiations and services offered by NSTDA’s partner firms. In addition to showcasing outstanding, ready-for-market innovations, the fair will also exhibit over 20 innovations by the four national research centers, which can be rapidly further developed for commercialization. The displays are presented under the theme “Better Food, Better Living and Better Energy”. Inventions that will be showcased at this fair include Nano Acne Treatment, In-Car Temperature Sensor and Thermal Alarm, Instant Plant Disease Test Kit and Intelligent Film that helps extend the shelf-life of fresh produce. 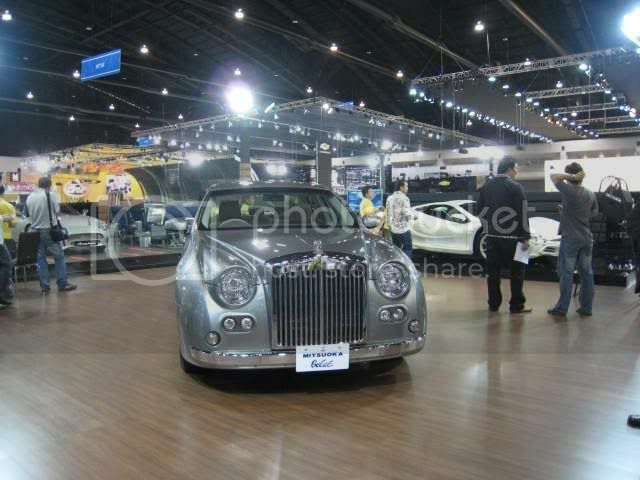 On Sunday I entered a crowded exhibit hall at Muang Thong Thani’s Challenger 1-3 to view the cars on display at the 24th annualThailand International Motor Expo 2007. The event had an 80 baht ticket fee for adults, but children were free. Many people got free tickets prior to the event and simply had to exchange a voucher for the ticket. 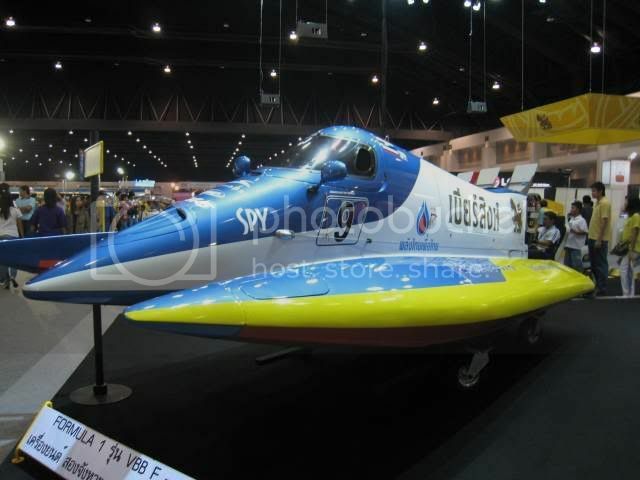 The Motor Expo was open from November 29th to December 10, 2008. 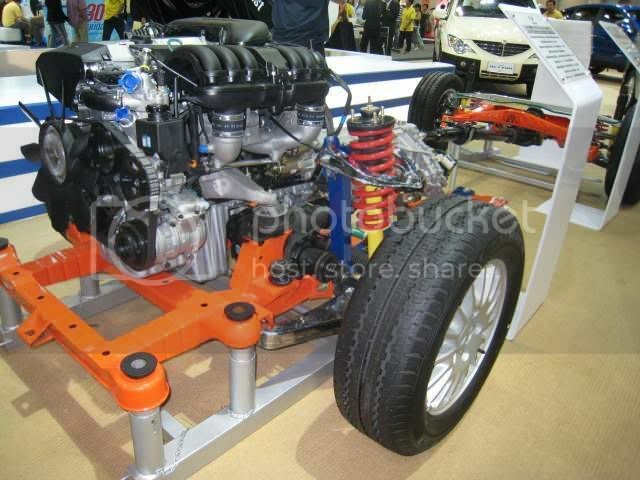 It is the end of year equivalent to the Motor Show which comes in March and April at BITEC. Most of the major car brands were there including: BMW, Mercedes Benz, Toyota, Isuzu, Honda, Mini, Subaru, Citron, Ford, Chevy and Mitsubishi. 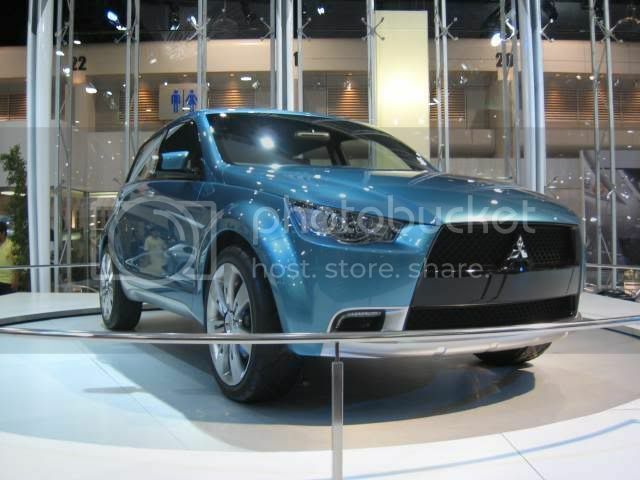 There were a few new names from foreign car makes as well like Ssangyong and Proton. Ssangyong is a Korean car maker which seems to be coming strong in the Thai market, especially with their large vehicle, family-style lineup of vans and SUVs. 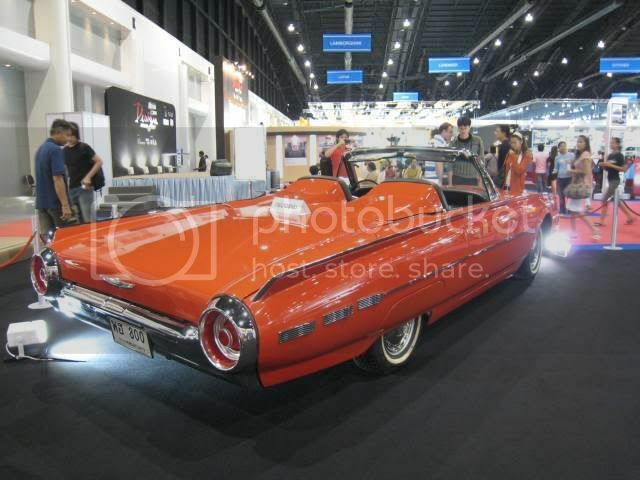 Other than the more common car brands like Honda and Toyota, the Motor Expo had a variety of other vehicles for you to see while walking around the Challenger Halls 1-3 at Muang Thong Convention Center. 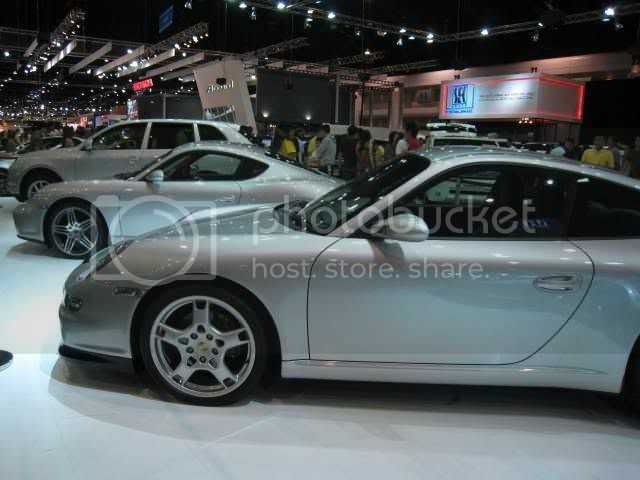 Luxury car brands like Porshe, Ferrari, Maserati and Bently had at least one car on display. You could even see a few racing vehicles like rally cars, F1 boats and competition off-road trucks.